For more than 100 years, John Randolph Medical Center has cared for the needs of the Hopewell and Tri-Cities communities. 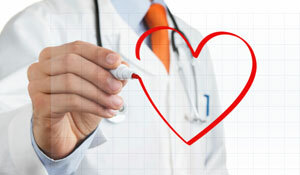 An Accredited Emergency Chest Pain Center, you can trust us in your times of most need. If your condition requires complex care, we also offer real-time consultation via an electronic link with Levinson Heart Institute at Chippenham Hospital, and can immediately transfer patients to their Level II Trauma Center, which is the only one of its kind in Central Virginia. Partners with Levinson Heart Institute. At John Randolph Medical Center, we partner with the best care providers for your needs in the area. For heart and vascular care that requires the best technology and care in the region, that partner is Chippenham Hospital’s Levinson Heart Institute. Is heart attack pain the same as angina pain? Learn about the differences and similarities between heart attack pain and angina pain from Reza Omarzai, MD, from John Randolph Medical Center. 2 easy steps to perform CPR.